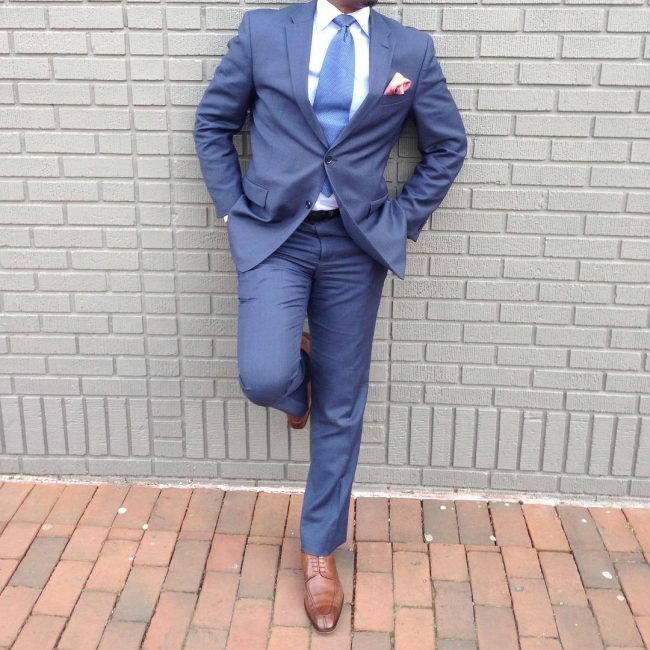 Blue suit and brown shoes are typically more youthful than the classic black suit and black shoes. 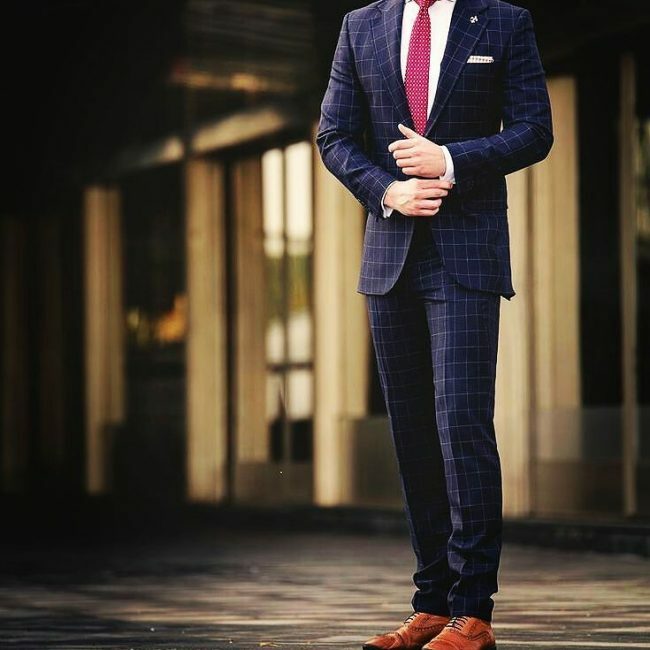 The outfit is versatile and a super wear for young men who love wearing suits on informal occasions. 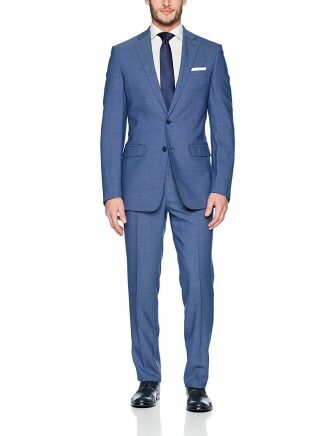 Blue suit promotes the personality of the wearer and makes him look transformed, elegant and partially official. 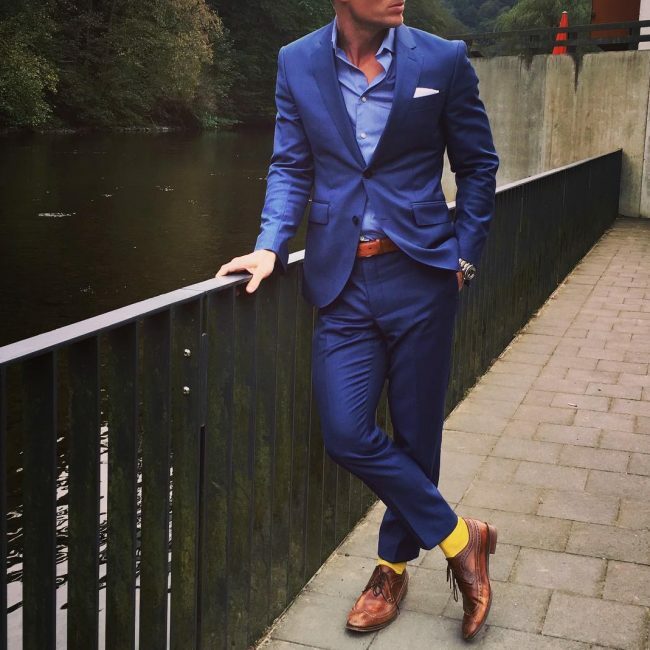 The following are 25 ways to style blue suit and brown shoes that you can use to look elegant and fashionable. 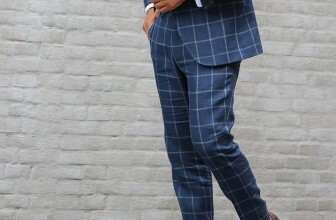 A fitting checkered dark slate blue suit comes out beautifully when worn with brown leather shoes. The outfit can be completed with a red-checkered tie and a white shirt to spice the style. 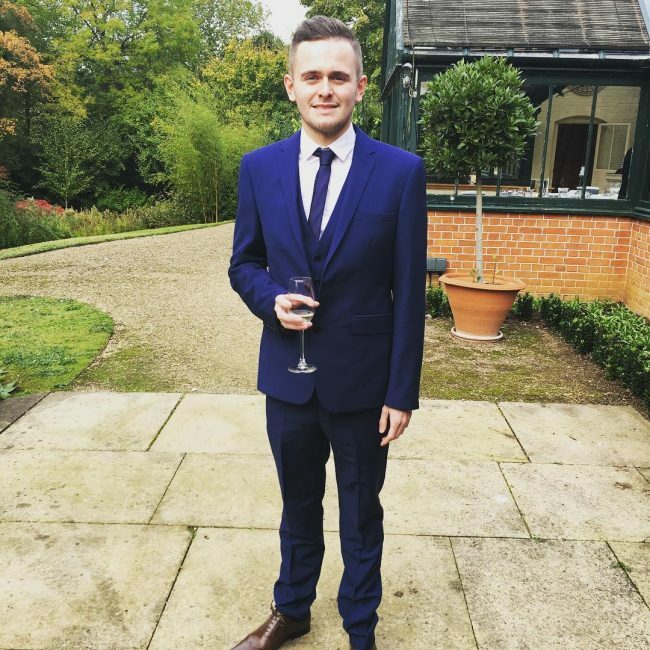 The outfit is cool for both formal and informal occasions. 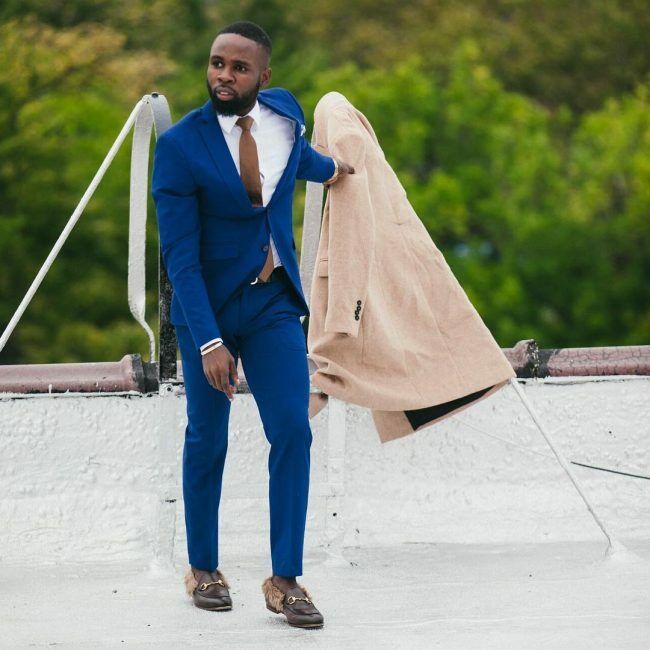 A royal blue 3-piece suit worn with brown leather shoes is a cool outfit for informal but important occasions such as weddings. 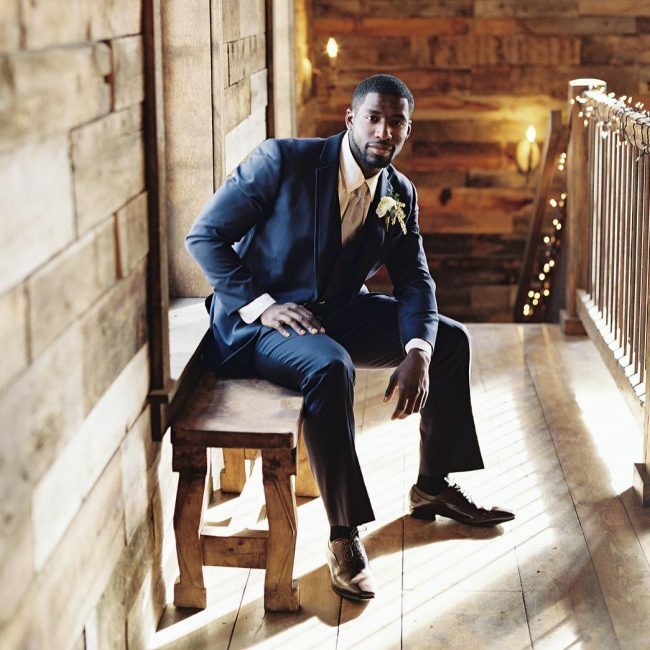 The style comes out beautifully when completed with a white shirt and a black tie. 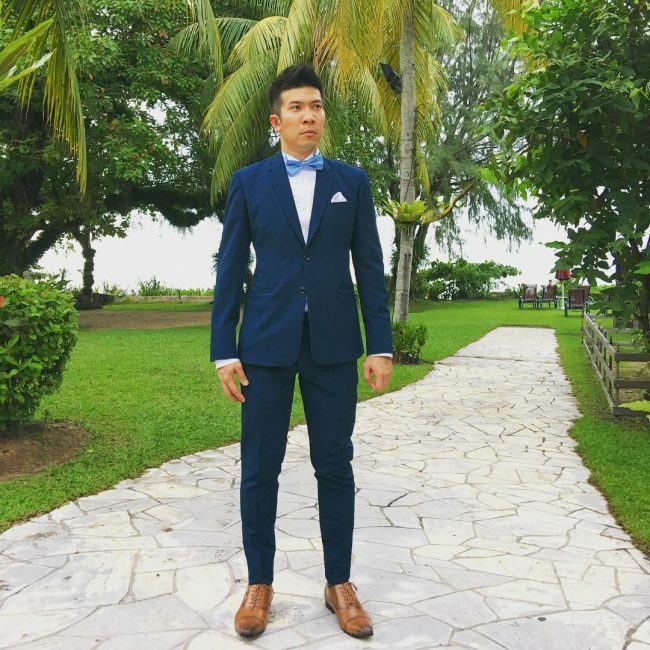 Styled blue suit and brown shoes is a cool outfit for formal occasions when you want to look elegant and expensive. 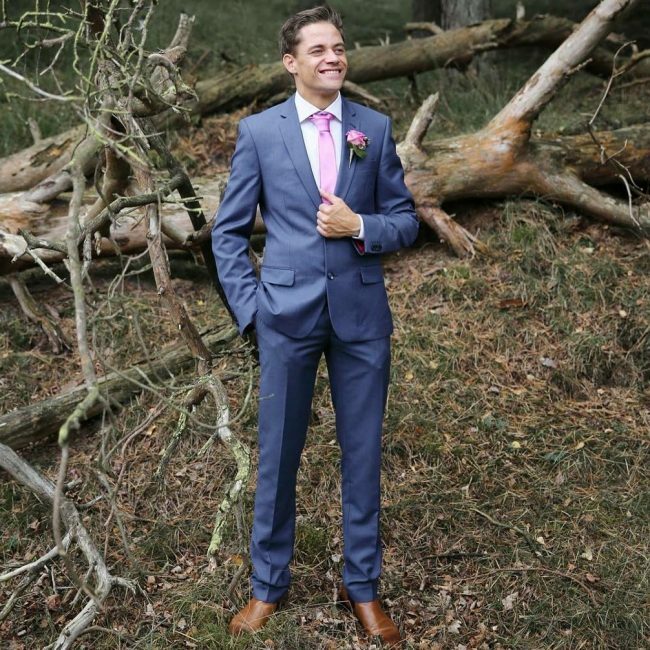 The style comes out beautifully when completed with a white shirt and a bright flowered tie. 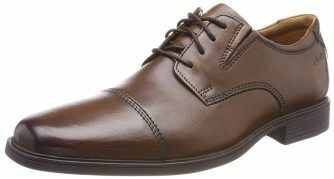 This is a cool wear for both formal and informal occasions by men who want to look elegant and classy. The outfit comes out beautifully when worn with a red or maroon tie and a white shirt. 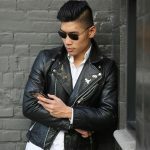 You can put on some dark shades to spice your style if worn in an informal event. 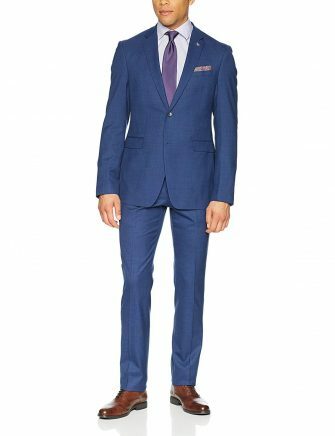 You can wear a designer dodger blue suit with brown leather shoes and look superb on informal occasions such as weddings and casual outings. The outfit looks lovely when completed with a white shirt and flowered bowtie. 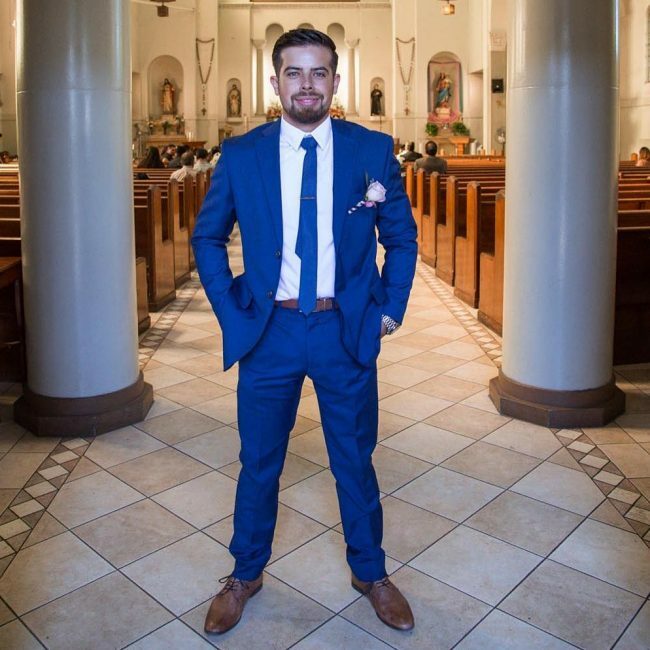 A pure blue suit looks elegant when worn with dark brown shoes and a white shirt. You can also add a jungle green bowtie and a flower pocket square to spice your style. This is a cool outfit for informal, but important, occasions such as weddings. 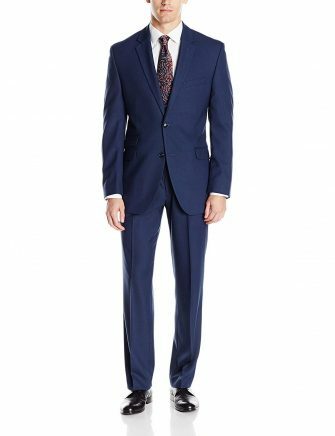 Midnight blue suit comes out beautifully when worn with light brown leather shoes. The outfit looks elegant when completed with a light blue bowtie, white shirt and matching pocket square. 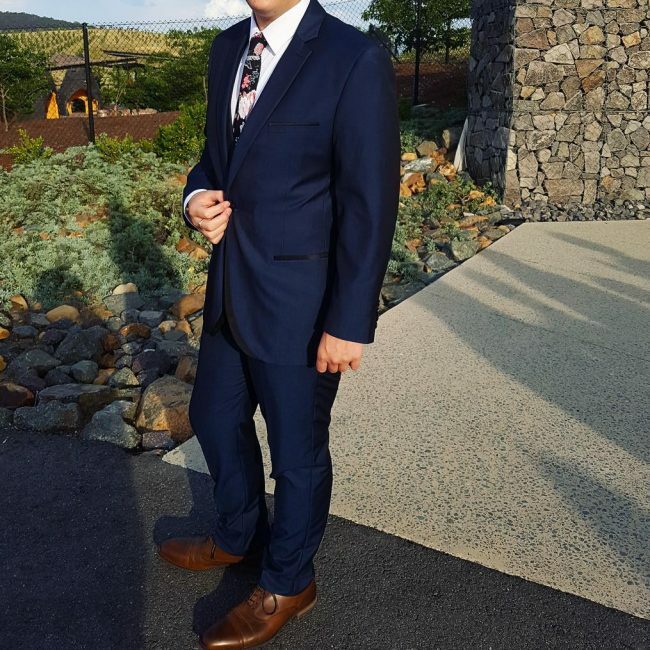 This is a cool men’s wear for weddings. Dark blue suit looks elegant when worn with tan-brown leather shoes. 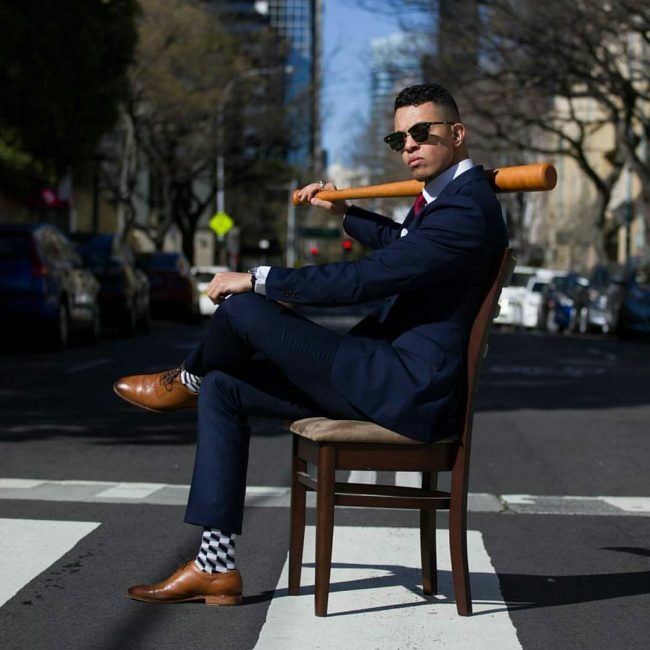 The style is more stunning when completed with a white shirt and a matching checkered tie spiced with dark shades. This is a cool outfit for both informal and semi-official occasions. 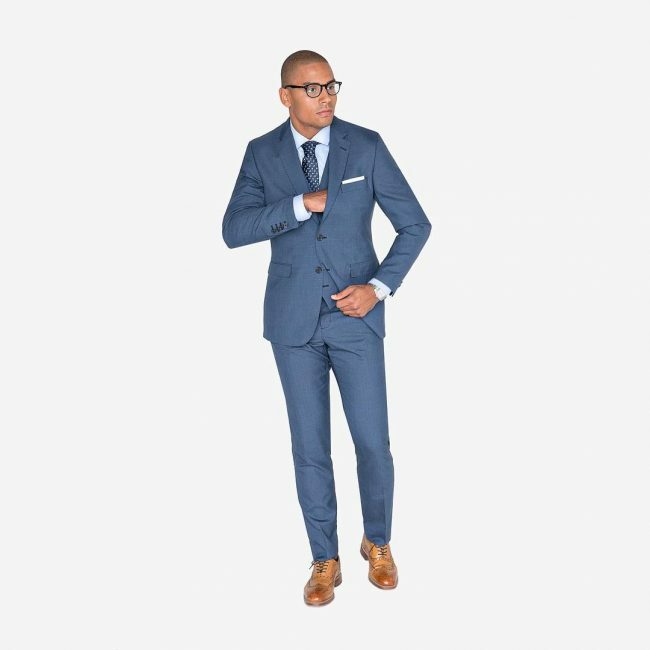 Standard blue suit looks elegant when worn with brown leather shoes. The outfit can be completed with matching slim tie and a white shirt. 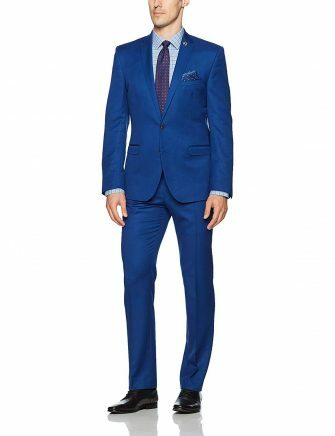 If blue is your color, this is a superb wear for both semi-formal and informal occasions. 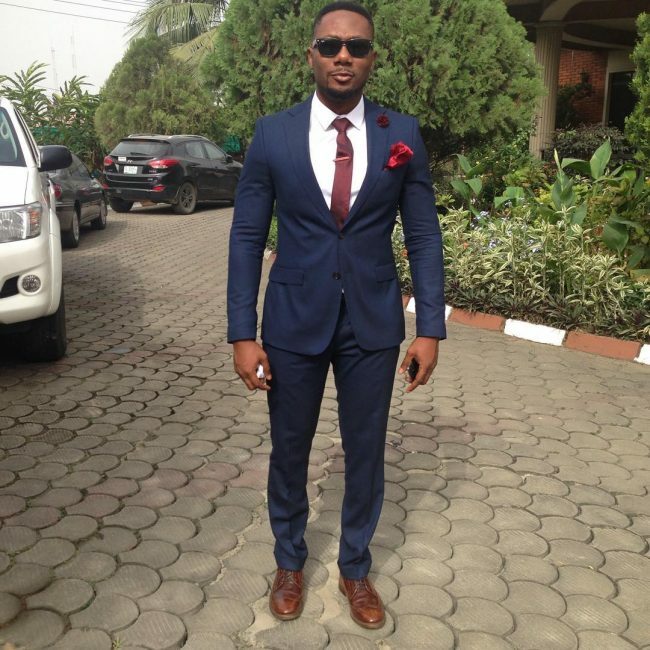 This is a cool outfit for both formal and informal occasions for men who want to look hot, expensive and classy. The outfit can be completed with a cream white shirt and a greyish tie spiced with a matching pocket square. 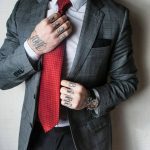 For men who love looking unique and want to attract some attention in informal occasions, you can wear a long coat 3-piece suit with brown leather shoes and look elegant and unique. The style can be completed with a white or cream white shirt and tie spiced with a matching pocket square. 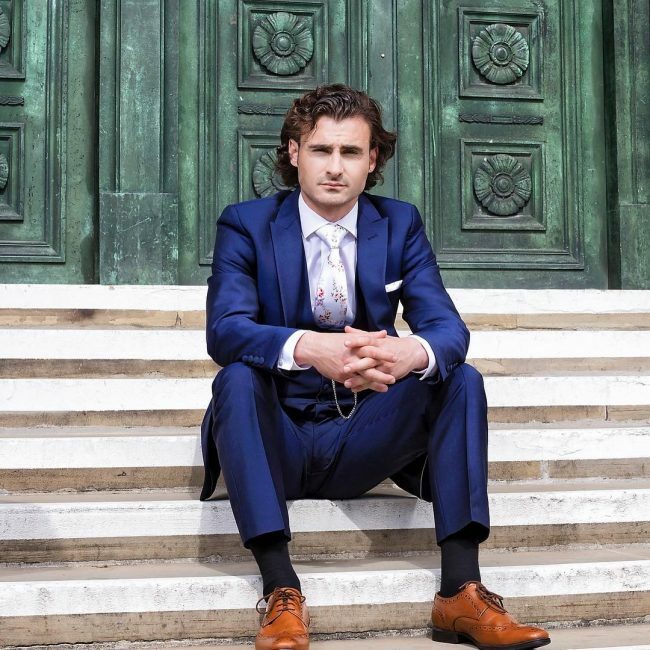 A fitting blue suit comes out elegantly when worn with dark brown leather shoes. The style can be completed with a flowered casual shirt. This is a cool outfit for informal and semi-official occasions and outings. 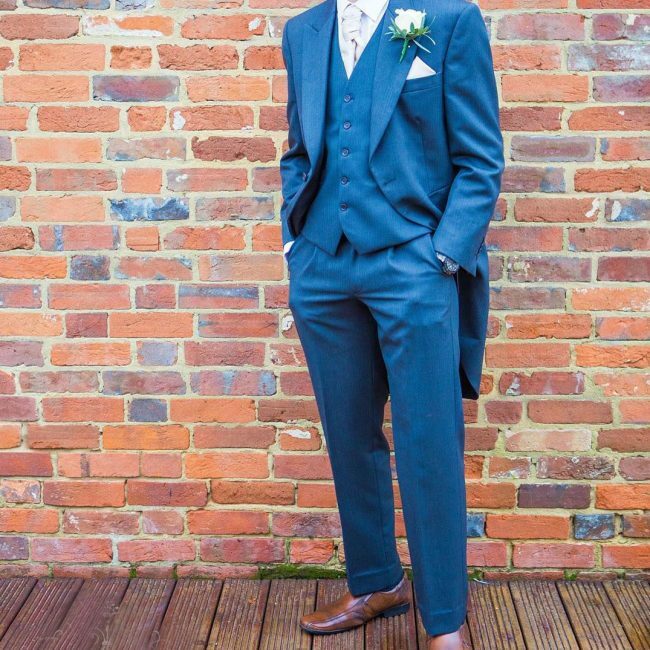 A midnight blue suit looks fabulous when worn with brown leather shoes. 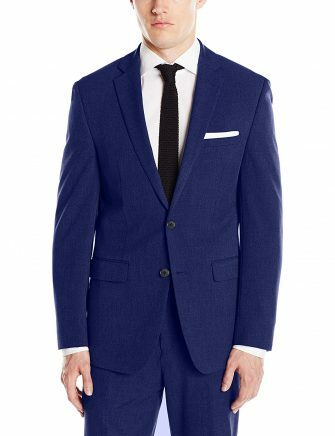 You can complete it with a white shirt, royal blue tie and a bright colored pocket square. The outfit is suitable for both formal and official occasions. A dark blue slim-fit suit can be worn with tan-brown shoes and come out elegantly. 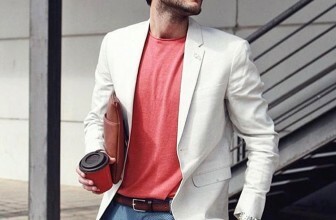 The style can be completed with a white shirt and a red or maroon slim tie. You can also add a reddish pocket square to spice your style. 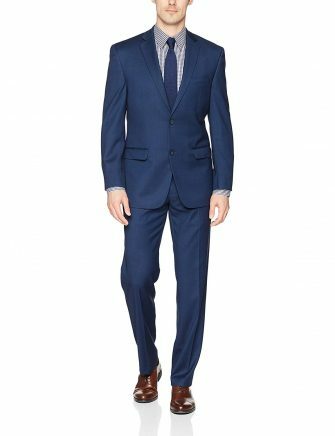 Strong blue fitting suit and brown leather shoes is a fabulous casual wear for men who love looking hot and want to attract some attention. 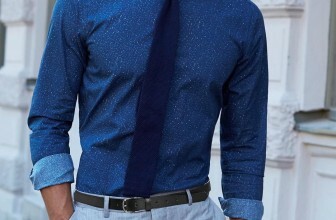 The outfit can be completed with a white shirt and a royal blue slim tie. 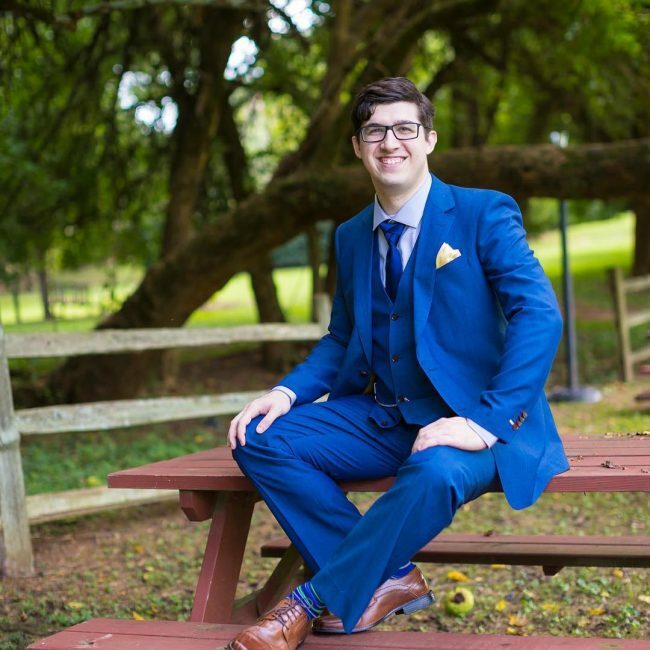 A fitting 3-piece blue suit worn with brown leather shoes is a cool outfit for both formal and informal occasions and events such as weddings and official meetings. 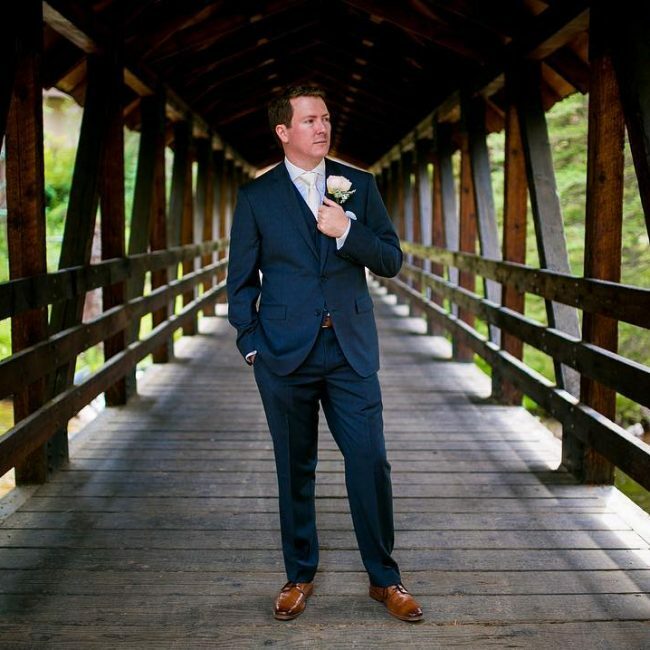 The style comes out beautifully when completed with a white shirt and a bright colored tie. 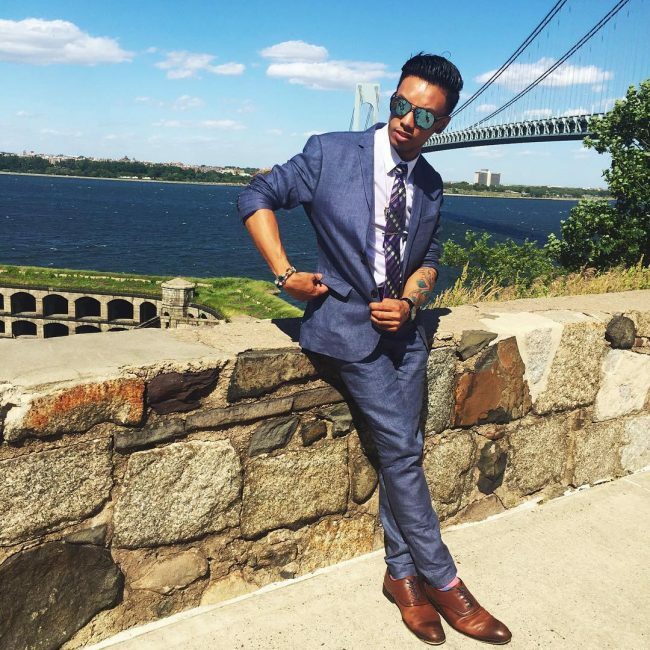 A blue suit is a super casual men wear that can be worn with dark brown styled shoes. The style can be completed with a white shirt and a brown tie. 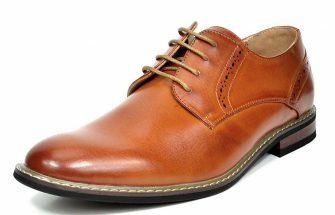 This a trendy wear for men who love wearing suits on casual occasions and look classy. Dark blue suit looks elegant when worn with tan-brown leather shoes. The style is more stylish when completed with a white shirt and cream white tie spiced with a flower pocket square. This is a cool outfit for both informal and semi-official wear. 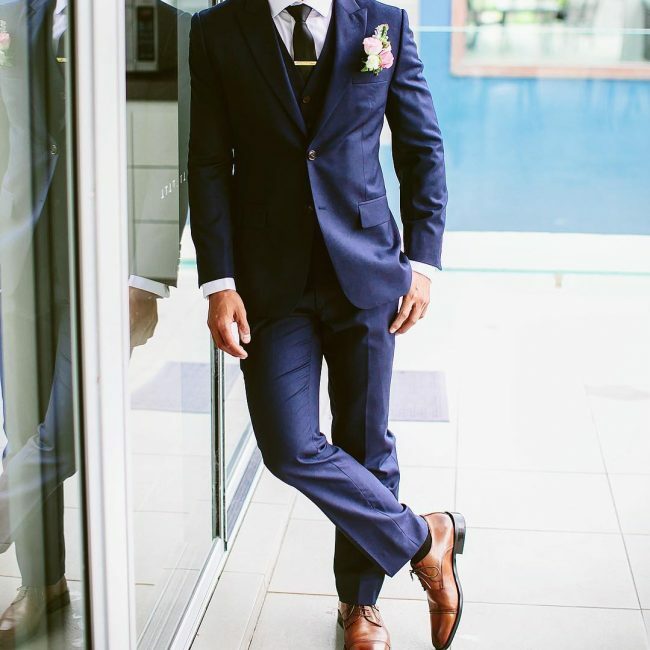 A royal blue 3-piece suit worn with brown leather shoes is a cool outfit for informal but important occasions such as weddings. The style comes out beautifully when completed with a light blue shirt and a checkered tie. 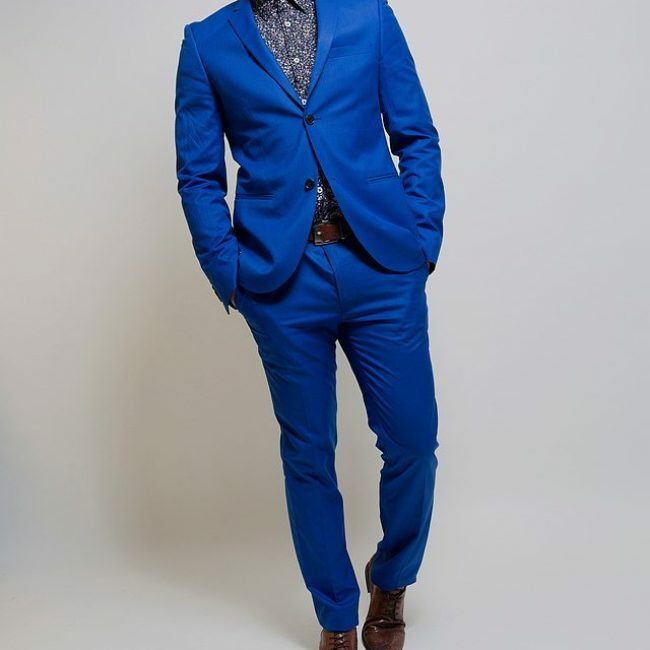 Strong blue 3-piece suit and dark brown leather shoes is a fabulous casual wear for men who love looking hot and want to attract some attention. The outfit can be completed with a white shirt and a navy blue slim tie. 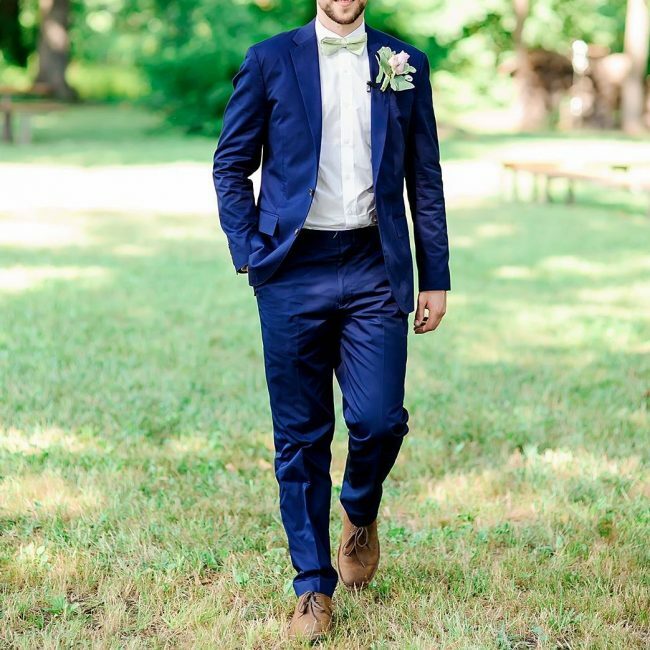 A navy blue suit comes out elegantly when worn with brown leather shoes and a green flowered shirt. The outfit is a wonderful wear for casual and semi- official events. This is a cool outfit for informal occasions for men who want to look hot, expensive and classy. The outfit can be completed with a cream white shirt and a sharp blue tie spiced with a beige pocket square. Hot blue suit and brown leather shoes comes out sophisticatedly when worn with a cream white shirt and matching flowered tie. This outfit is suitable for important informal occasions such as weddings. 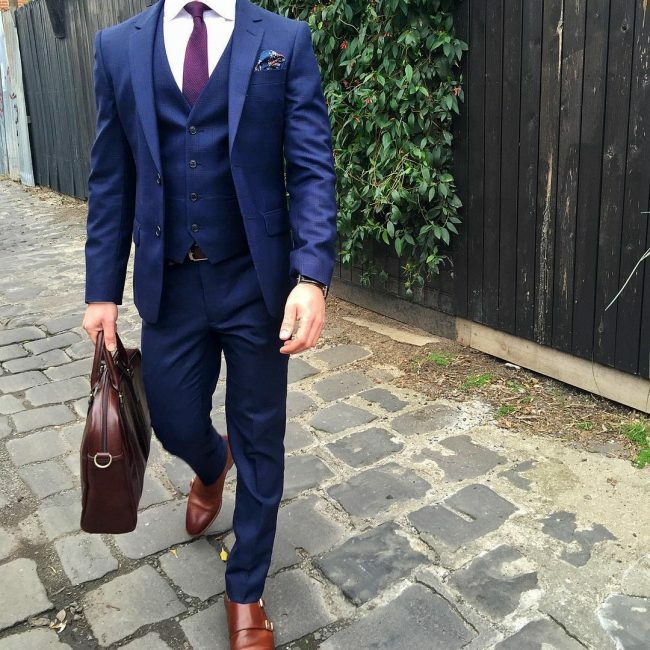 fitting royal blue suit looks elegant when worn with brown leather shoes. The outfit can be completed with a light pink tie and a white shirt spiced with a matching flower pocket square. The outfit is a superb wear for both semi-formal and informal but important occasions. 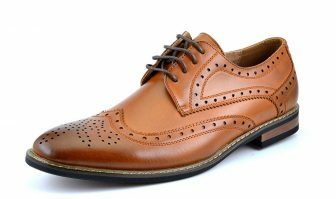 Men who love wearing suits on casual occasions can dress in a dark brown fitting suit with tan-brown leather shoes and look classy. The outfit can be competed with a royal blue shirt and matching blue shades. 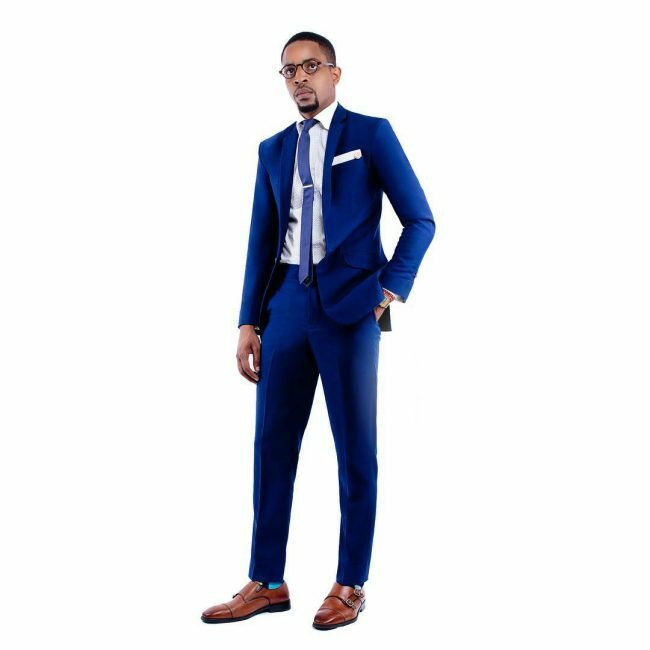 There is no doubt that blue suit and brown shoes is a cool outfit for men who love wearing suits on informal and semi-official occasions. The outfit can be styled differently depending on your taste and the theme of the occasion you are attending.